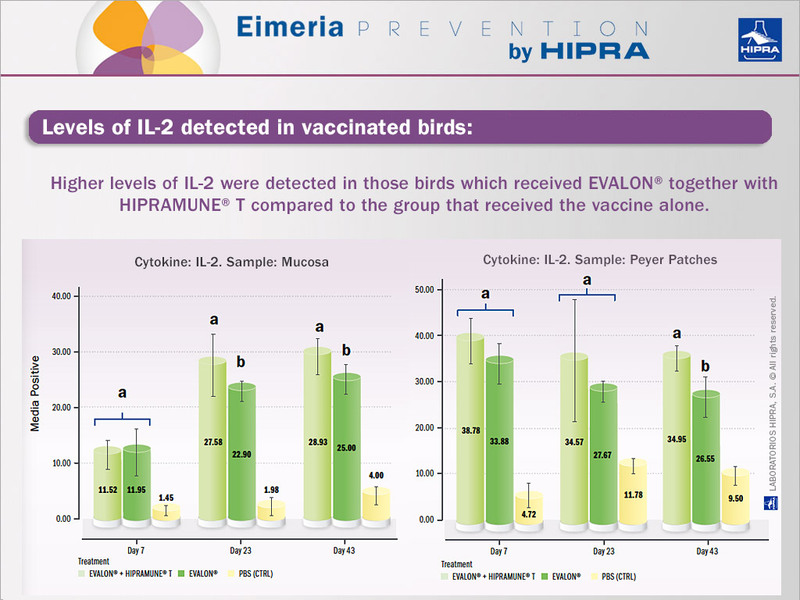 In a study conducted at the University of Zaragoza with Prof. Emilio del Cacho, different groups of birds received EVALON®, EVALON® together with HIPRAMUNE® T and PBS (control group). Jang SI, Lillehoj HS, Lee SH, Kim DK, Pagès M, Hong YH, Min W, Lillehoj EP. 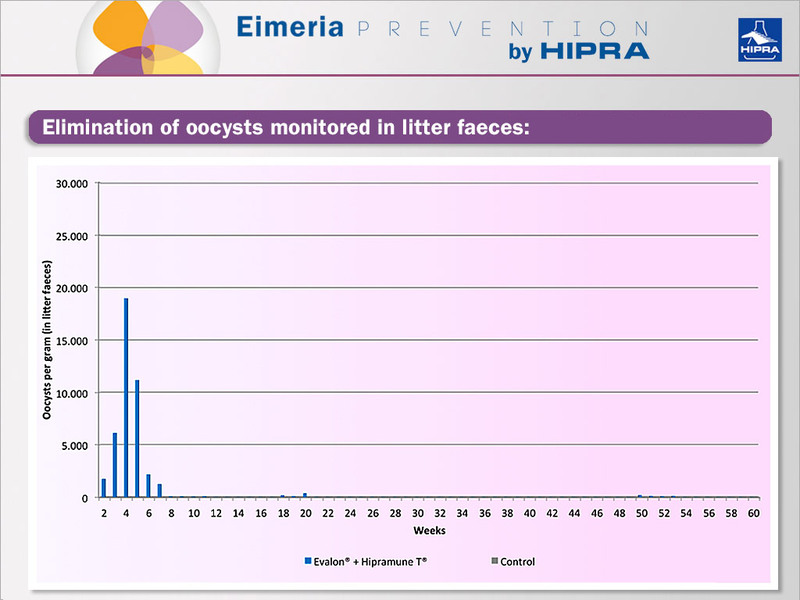 ‘Distinct immunoregulatory properties of macrophage migration inhibitory factors encoded by Eimeria parasites and their chicken host’. Vaccine (2011) Nov 8; 29(48). Schmid M , Heitlinger E , Spork S , Mollenkopf H-J , Lucius R and Gupta N. ‘Eimeria falciformis infection of the mouse caecum identifies opposing roles of IFNƳ-regulated host pathways for the parasite development’. 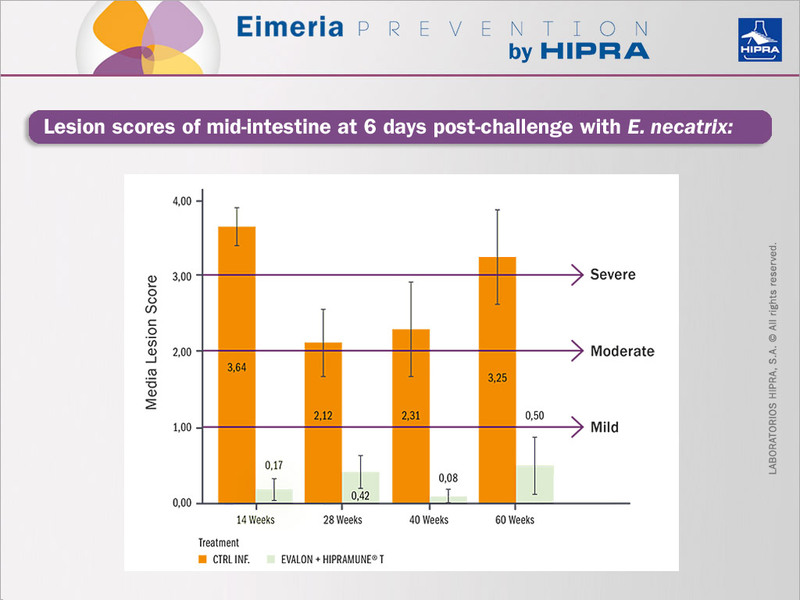 Mucosal Immunology Dec (2014).